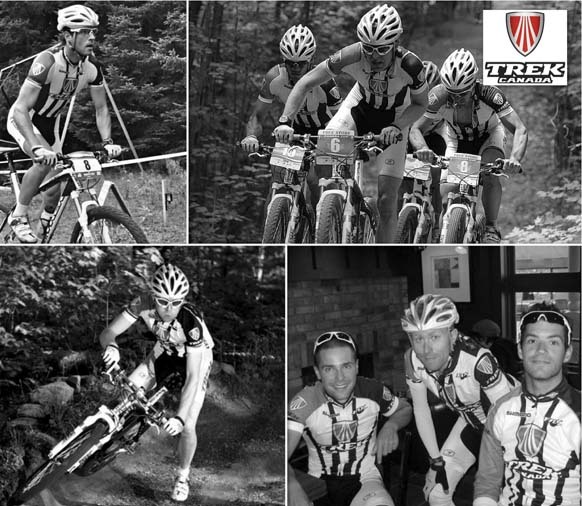 Trek Bikes, in association with Trek Bicycle Store of Toronto, is proud to announce the 2011 Trek Canada Mountain Bike Team. For 2011 the team has re-signed Peter Glassford, Eric Batty and Adam Morka. New development additions are two of Canada's Top U23 athletes: Cayley Brooks and Mitch Bailey, who both attended XC Worlds in 2010. The team's focus will again be a blend of many global events, beginning March 31st in Southern California for the first US Pro XCT, followed in April with the Legendary Sea Otter Classic. Peter Glassford commented from his cellular telephone while climbing an unknown Cat. 1 climb near Oxnard, California: "I am excited to keep growing with Trek for 2011. The guys are so close that we have a great opportunity to push each other and also work together as the sport becomes more tactical. I can't wait to get on the line again in March!" Trek Canada is not your average team, as their extraordinary on and off the bike abilities and personalties make them a factor in every race they enter. 2010 saw the athletes travel globally while competing in Canada Cups, US Cups, World Cups, and World Championships. Aside from the big races, community events around the Trek Hardwood Canada Cup, the Offroad Squeezer and many weekly series, shows why this team is more then results! 2011 will feature even more community events and you can keep up to date with the team blog at www.trekraceteam.com. Barry Near, Owner of Trek Bicycle Store of Toronto, comments "We are the evolving program that Emily Batty signed on with back in 2007, she has now achieved a level of greatness to jump up too Subaru-Trek in 2011. Trek is giving these up and coming athletes that same opportunity, and they give back huge. Their on and off the bike personalities are showing true commitment to the sport, and you will likely see a whole lot more of the Trek Canada Team in 2011." Eric Batty: "Don't call me, I'm up north with no cell service, doing back to back 4 hour days of snowshoeing." Adam Morka: "I'm on rest week now, so its all meat and vegetables. Next week though, I'm eating waffles"
Cayley Brooks: "Trek Canada Team? Awesome, does this mean we get the White Bontrager Shoes?" Mitch Bailey: "My week has a lot of variety right now, school, 3 hour roller ride, school, 3 hour roller ride, school, 3 hour roller ride..."